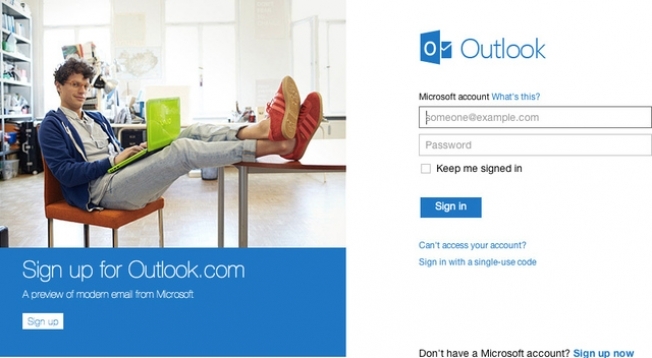 Microsoft (MSFT) is giving its email application a much-needed makeover. On Tuesday Microsoft’s Outlook Blog took the wraps off of Outlook.com, a new online email portal that cleans up the traditional inbox user interface and adds several social networking features to the mix. On the inbox side, Outlook.com automatically detects emails that are newsletters and puts them into their own separate folder while also giving users the option to easily stop receiving newsletters with a one-click “unsubscribe” button. The new inbox also allows for message “sweep” operations where Outlook will only keep the very latest message from a given sender and will delete all previously sent messages. Microsoft today posted the Windows 8 Release Preview for public download, the last major milestone before the final release of the operating system, which will be the biggest change for the widely used software since the landmark Windows 95 release. The company also confirmed that it will roll out a Windows Upgrade Offer starting June 2, letting anyone who buys a Windows 7 PC prior to the Windows 8 final release upgrade to Windows 8 Pro for $14.99 when the new operating system comes out. Harvey Anderson, Mozilla’s general counsel, and Asa Dotzler, director of Firefox, weighed in with the accusations late Wednesday in a pair of blog posts. Dotlzer was more direct. “Microsoft is trying to lock out competing browsers when it comes to Windows running on ARM chips,” he said. Their beef stems from Microsoft’s decision to deny other browser makers, including Mozilla, access to APIs (application programming interfaces) necessary to run a browser on Windows RT’s conventional desktop. Windows RT — the edition for ARM processors — will offer a Metro mode that features touch-based apps available from the Windows Store. But it also includes a heavily-restricted “desktop” mode that will run only Microsoft code. Windows Live was first announced on November 1st, 2005, and in our press release we described it as “a set of personal Internet services and software designed to bring together in one place all of the relationships, information and interests people care about most, with more safety and security features across their PC, devices and the Web.” Since that time, we’ve been hard at work building software and services that deliver that promise, a foundation that we could rely on as we designed new versions of Windows as well as other Microsoft products. We’ve received lots of feedback about features and ways we could improve the software and services. And we’ve also received some feedback about the naming and marketing we have done. Windows 8 is a chance for us to act on that feedback and reintroduce you to the broadest and most widely used collection of services on the Internet. Today, Windows Live services are used by over 500 million people every month. There has been a lot of discussion recently on what constitutes an “active” user of a service; for the purposes of this post this term refers to people who use Hotmail, SkyDrive, or Messenger at least once a month, meaning they send email, use instant messaging, or upload files to SkyDrive.